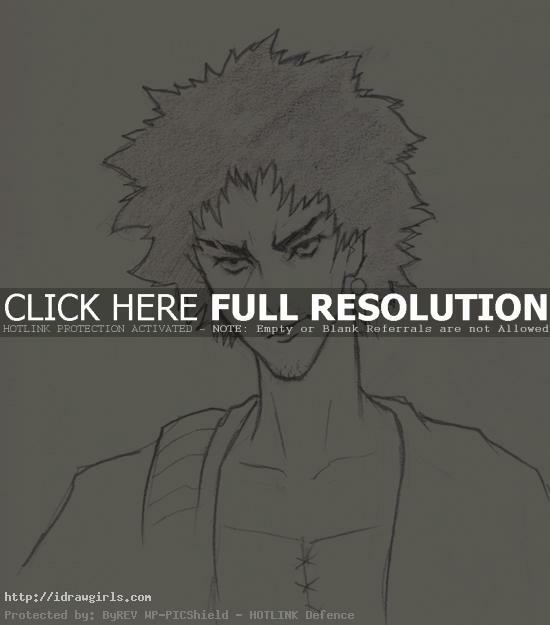 How to draw Mugen a main character from Samurai Champloo. Learn to draw Anime character Mugen from step by step tutorial along with easy to follow instruction. I just watched Samurai Champloo on Netflix over the weekend, it was awesome. I did not realize that there are a lot of Anime series on Netflix now since they partner with Funimation. I love the character designs and the animation itself. The quality of the swordplay is top notch. It is actually one of the best Anime series I’ve seen in a long time. Yes, I have not seen the series before, shame on me. It was well done. Samurai Champloo takes style to a level rarely seen in anime. In this tutorial, you will learn to draw a Samurai Champloo character Anime style drawing. I will break down the drawing in the way that it will be easy to follow. Before I begin to draw something new, I usually observe the subject and try to break it down into simple geometry shapes. I will always make the drawing or initial sketch simple, that is the key. Though it might look simple but the most important part is measurement the position between element such as space from left eye to nose or from nose to lips. Positioning initial pieces within the drawing to make it as accurate as possible will make your drawing more solid. Once you have the shape and form you need to take the drawing to the next step, it will be easier to add detail. It is a lot easier to draw once you carefully study the over all shape of a character you are trying to draw. Mugen is brash vagabond from the Ryukyu Islands. He is a fierce animal-like warrior with a unique Bboying (break-dance) inspired fighting style. He is a wanderer (Ronin) with a wildly unconventional fighting style. He wears metal-soled geta and carries an exotic sword on his back. In Japanese, the word mugen means “infinite” or “limitless”. Here is a final drawing of Mugen. 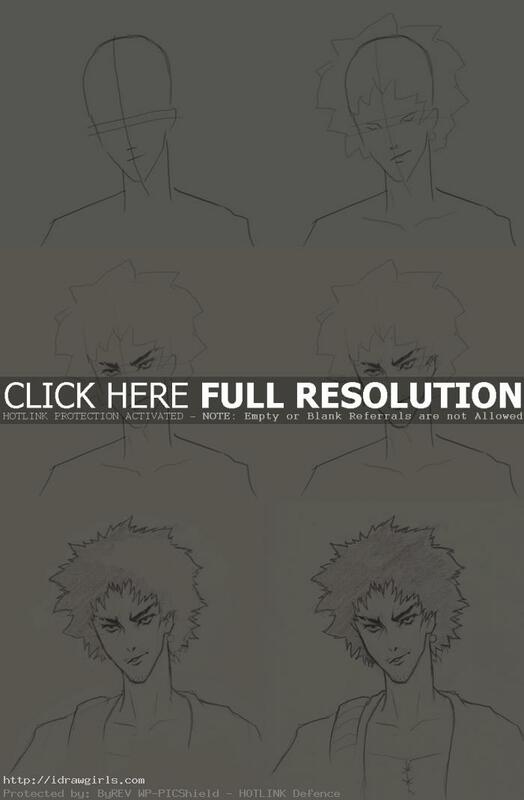 Below are step by step images how to draw Mugen from Samurai Champloo. From step one to three, I am just trying to sketch out the structure of the overall shape of the Akuma. At this point, do not worry so much about little detail, try to get the most accurate big shape of the subject you are drawing first. In step 4. I already have the foundation sketch, then I can just add in eyes, nose, mouth, and hair base on the construction line you already have.